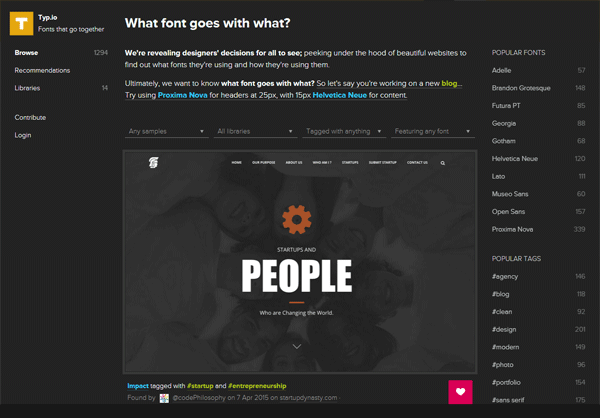 For font-pairing ideas and inspiration, check out the following resources. 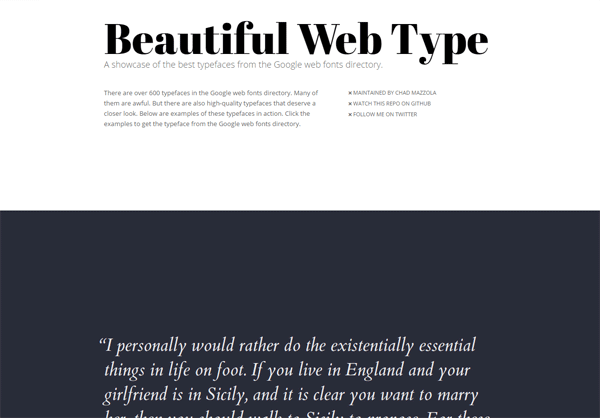 Font Pair suggests good pairings of fonts found in the Google Fonts library. 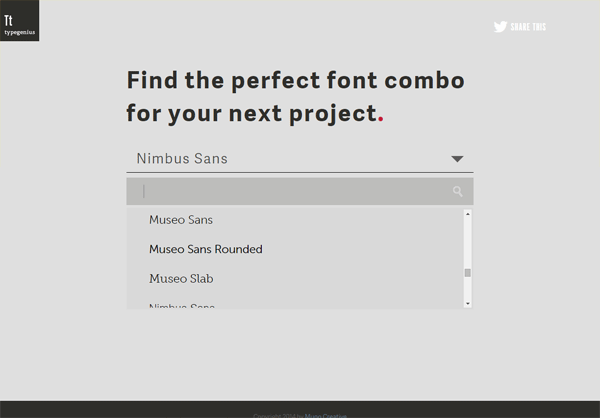 You can filter font pairings based on general font classifications. For example, Serif/Sans-serif and Cursive/Serif. 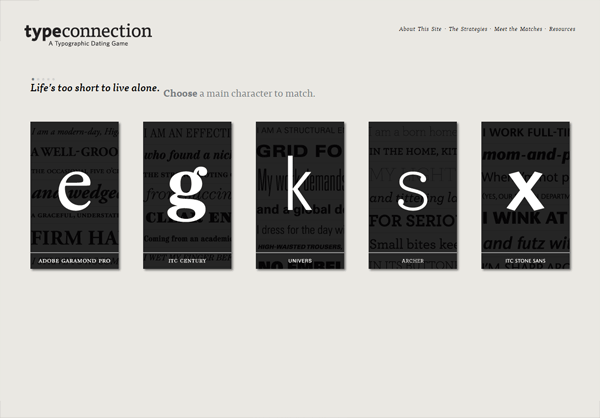 This online tool will ask you which font you’d like to use. It’ll then recommend a font that goes well with it. Also, Type Genius will show you real-world examples of its suggested font combos. Type Connection is an web game that teaches you how to pair fonts. The site also has a showcase of font combinations for you in case you’d rather skip the game. For a more detailed review, read Learning the Art and Science of Combining Fonts. 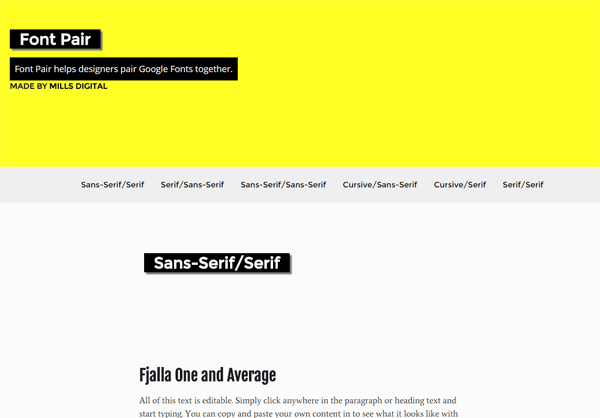 This project by designer Chad Mazzola showcases gorgeous typeface pairings of Google Fonts. 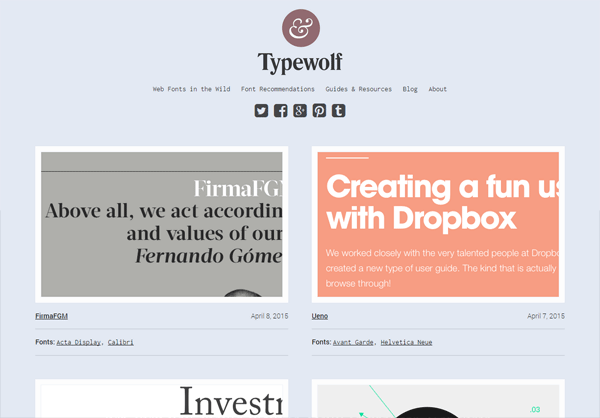 Typewolf features websites that have beautiful typography. The web fonts used on each site are mentioned. This site is a huge archive of designs with awesome typography. You can navigate to particular types of designs by industry (e.g. food/beverage), format (e.g. packaging) or by typeface (e.g. Gill Sans). 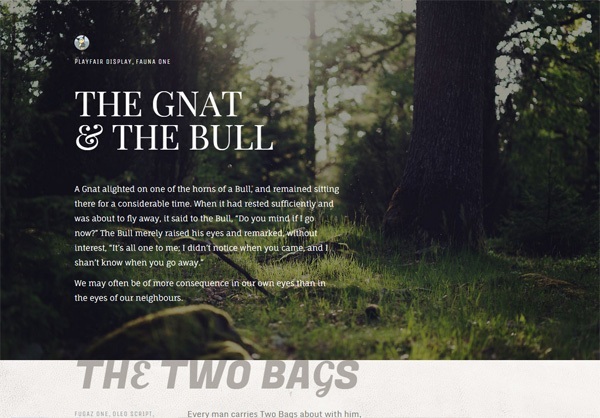 This open source project features beautiful combinations of Google Fonts for inspiration. 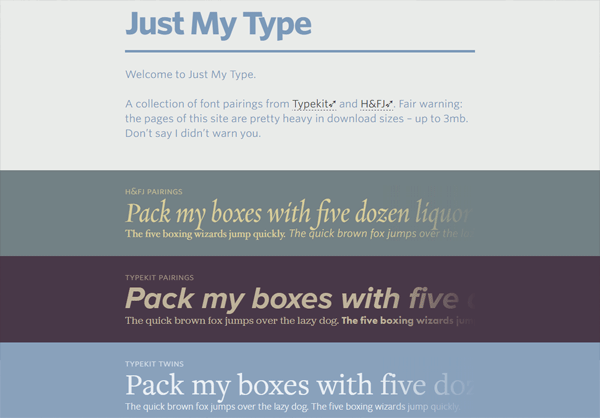 Just My Type is a collection of excellent pairings of Adobe Typekit and Hoefler & Co. web fonts. 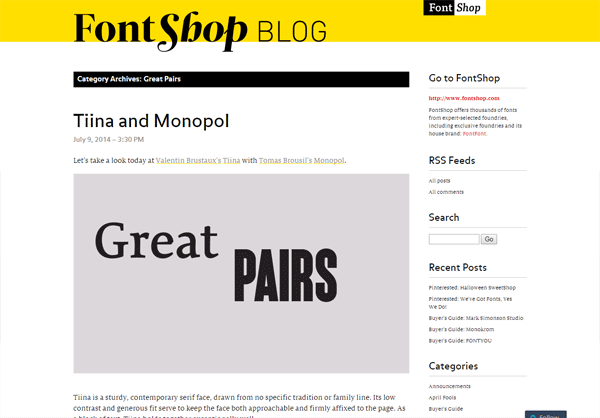 Great Pairs is a special section in the FontShop Blog. It talks about font combinations in great detail. The posts often delve into the history of the featured fonts. Type.io will inspire you with its large collection of excellent font combinations. 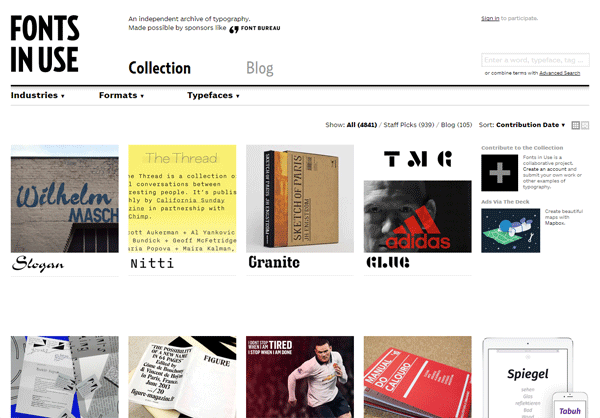 The archive currently has over 1,200 featured web designs.